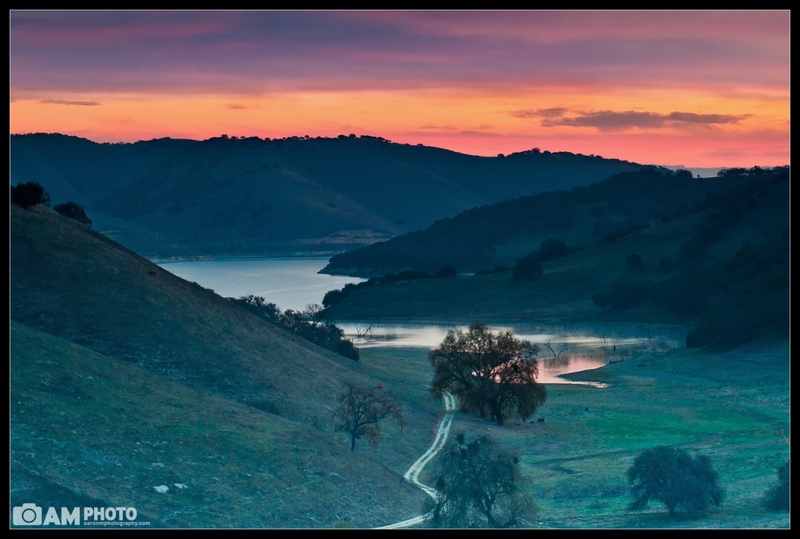 The the past 2 years my roommate and I have planned a big trip down to Paso Robles, CA for her birthday. We rent a huge house and have 25 of our closest friends together to celebrate, have fun, and go wine tasting. This year we rented a house in between 2 lakes (Lake San Antonio and Lake Nacimiento) that had a gorgeous view of one of the fingers of Lake San Antonio. Fortunately for me, the clouds rolling in meant that the sunrise would be beautiful and sure enough, it was I spent a little while setting up and figuring out my composition after I stopped trying to see the lunar eclipse and I waited for the sun to rise. There was already some color peaking up over the mountains but I knew that the more I waited the more color would lit up in the clouds. Sure enough, I was treated to an absolutely beautiful sunrise So glad I woke up early for this . I had to heavily crop this image because I was pretty far away from the composition that I wanted. I didnt purchase an adapter ring for my Lee Filter holder that would fit on my 70-300mm lens so I had to stick with the 24-70 and then crop it. I suppose I should have thrown the lens on my D300s instead of my D700 and used the D300s but oh well. It came out great anyways . Previous Post Save the Pelicans!